Your Muskoka corporate retreat! Just two hours from Bay Street – but a million miles away from the office. Muskoka Soul is the perfect place to get away from it all and get some serious work done. Whether you are holding a corporate retreat, executive retreat, a strategy and planning session, a brainstorming meeting, or team-building getaway – we are equipped with all the technology and resources you need. Ask about our new scavenger hunt hike specially designed at our Cliff Bay property. And the house itself, with its soaring fir timbers and breathtaking views of the lake, makes a spectacular setting to impress those business prospects! When you come to Muskoka Soul for your Muskoka corporate retreat, you are our only client, which means you get all of our attention. Through our Muskoka Boardroom service we will set the place up specifically for your needs: all the tools and resources you need will be there. We welcome business visitors who want to come for the day – offered Mondays & Tuesday. If your needs span several days, we offer incomparable accommodations and services, including everything from meals to mid-stay housekeeping. Call us to plan your perfect corporate retreat! Relax, renew and restore at one of our luxury lakeside cottage lake house rentals. Your clients and team will leave refreshed, inspired and motivated from the retreats you craft. Your group will enjoy spectacular accommodations at Muskoka Soul and you will have the space for a group of 10 or 12 people. 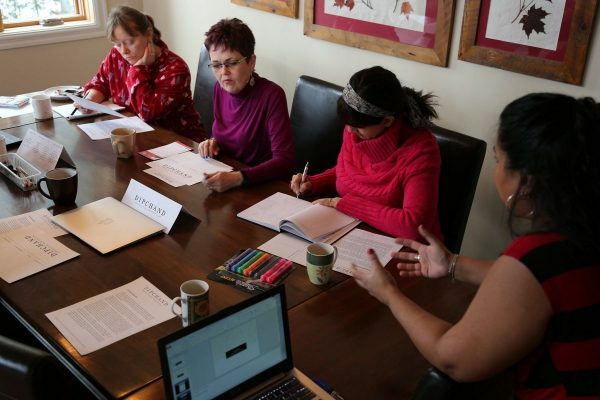 From weddings and milestone birthdays, to product launches and focus groups, just about any sort of event can and has been held at Muskoka Soul. For events at our properties we charge an event fee along with the accommodation rate. The fee is dependent on the number of people at your event and will include general liability. At either property our event maximum is 55 people. The hosting guest(s) are required to have day event insurance via PAL (party alcohol insurance). Our planners and concierge service can help you plan every moment and aspect of your event. Or, if you wish, you can simply come and do your own thing. Either way, you can tailor the services and resources at Muskoka Soul to suit your needs and budget. Call us and find out how Muskoka Soul can make your event truly unforgettable.